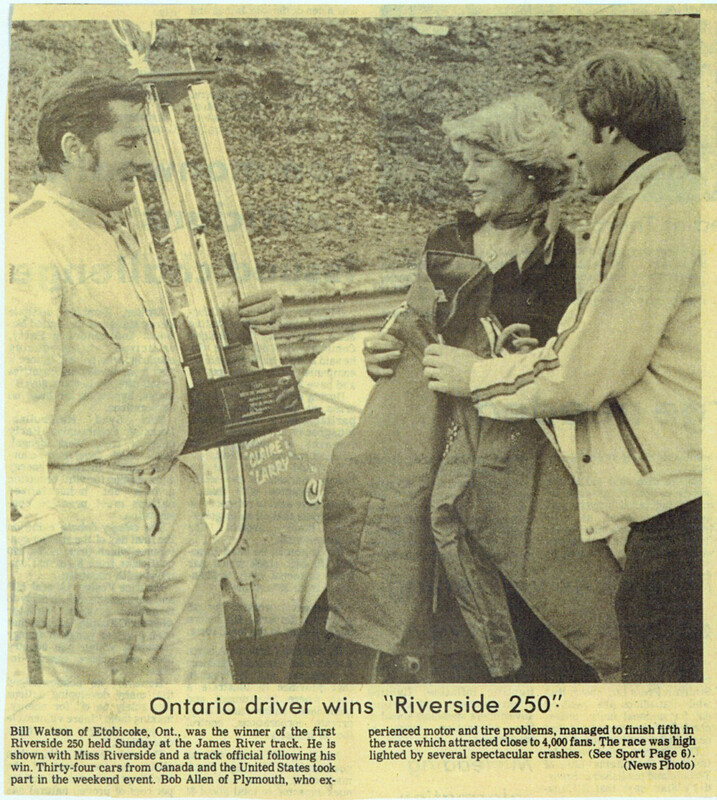 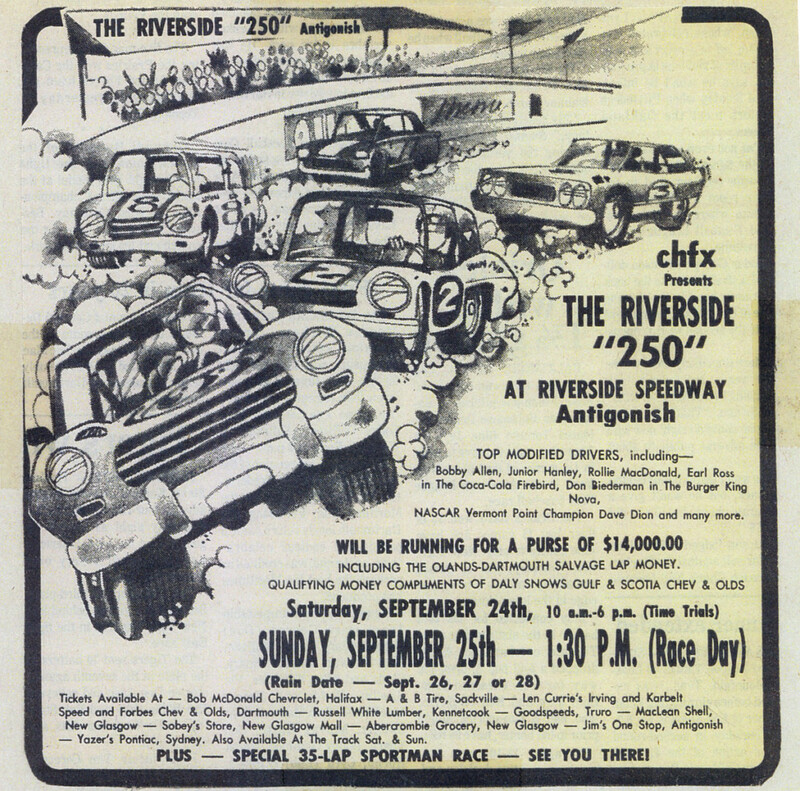 What advertising looked like in 1977 for the first ‘250’ at Riverside…It was the longest race ever held in the Maritimes; the purse was $14,000 and drew top drivers from as far away as Ontario and New England. 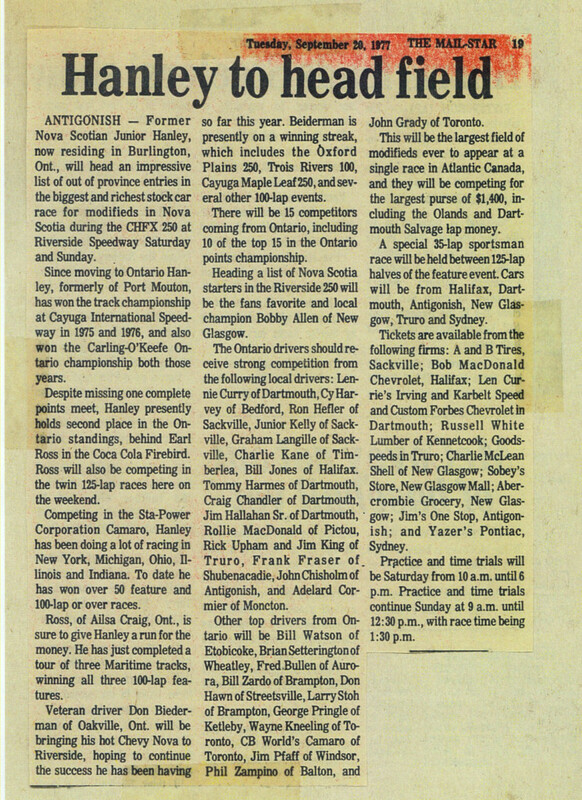 The race was run in two 125-lap segments with a 35-lap sportsman race at half-time. 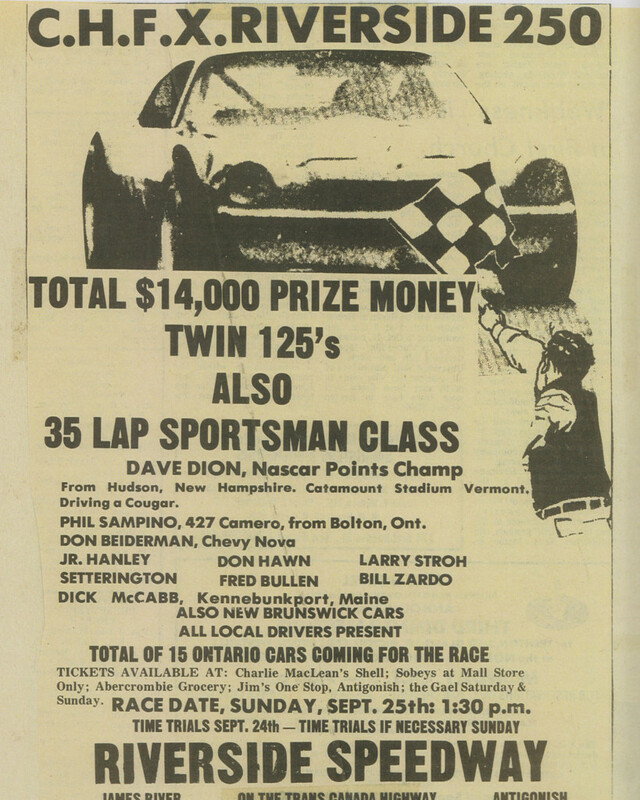 While Junior Hanley was deemed the headliner, Ontario’s Bill Watson was the winner.